Brian Francis, chief of the Abegweit First Nation on P.E.I. for the past 12 years, has been appointed to Senate. "I'm very proud and humbled and honoured to be appointed, and I'll certainly do the best that I can for my province, my people and my country," Francis said in an interview with CBC P.E.I. "It means I can work hard for not only my Mi'kmaq people but as I've done in the past as a First Nation leader but I can also take it to the next level for Prince Edward Islanders and Canadians in general as we move this great country forward." Prime Minister Justin Trudeau announced on Thursday that the Governor General appointed Francis to fill a vacancy on P.E.I. By convention, senators are appointed on the advice of the prime minister. Francis said he will step down on Friday as Abegwet First Nation chief and co-chair board of directors for Mi'kmaq Confederacy of P.E.I. He will be sworn in as a senator on Tuesday. Don MacKenzie, executive director of the Mi'kmaq Confederacy of P.E.I., said Francis has been a "transformative leader." "He is a person of the highest integrity and the talents that have served him so well as a universally respected Indigenous leader — intelligence, fairness, vision and a unique ability to work cooperatively with others to effect positive change — will serve as a tremendous asset as he becomes the first P.E.I. Mi'kmaq to serve in the Parliament of Canada," said MacKenzie in a news release. Francis replaces senator Elizabeth Hubley, who retired last fall. Josée Forest-Niesing was also appointed on Thursday. She will serve in the Senate for Ontario. Francis and Forest-Niesing were recommended by the Independent Advisory Board for Senate Appointments and chosen using the process open to all Canadians, according to a government news release. It said the process ensures senators are independent, reflect Canada's diversity, and are able to tackle the broad range of challenges and opportunities facing the country. "I look forward to work with Ms. Forest-Niesing and Mr. Francis, and I have no doubt that their vast knowledge and experience will greatly benefit Parliament and all of Canada," Trudeau said in the release. Lennox Island First Nation Chief Matilda Ramjattan, who served with Francis on the confederacy's board of directors, said his dedication and leadership skills have been inspiring and his appointment is "very well deserved." "While it is a tribute to his personal abilities, the appointment is also a source of profound pride for the entire Mi'kmaq community. It is truly a great day for one of our own to be able to share his gifts, perspective and culture on the national stage." Francis's infrastructure development work includes a biodiversity and enhancement hatchery, a water tower to secure safe drinking water, paving projects, and housing developments. Prior to becoming chief, he worked as the area Aboriginal programs co-ordinator with the Department of Fisheries and Oceans. Francis's experience with all levels of government extends beyond the public service. 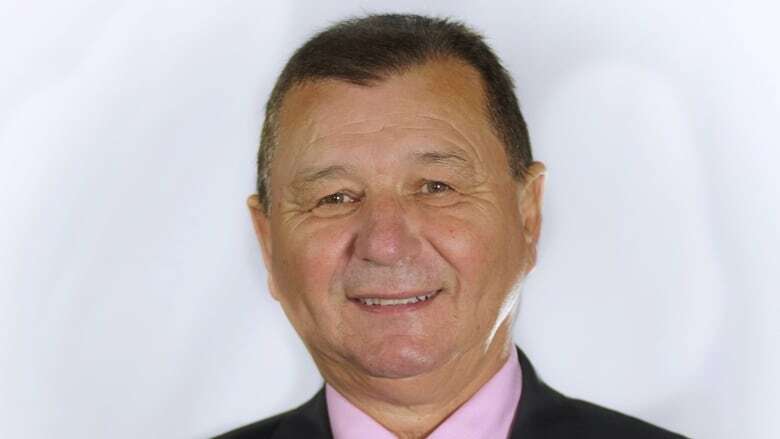 He was one of the formal signatories to the Canada/Prince Edward Island/Mi'kmaq Partnership Agreement and the Canada/Prince Edward Island/Mi'kmaq Consultation Agreement. He is also a member of the president's Indigenous Advisory Council of the University of Prince Edward Island, the executive board of the Atlantic Policy Congress of First Nations Chiefs Secretariat, and the Fathers of Confederation Buildings Trust, as well as the co-chair of the board of directors of the Mi'kmaq Confederacy of P.E.I. For his continuing dedication to public service and the improvement of the Indigenous and Crown relationships, Francis received the UPEI Founders Award and the Senate of Canada sesquicentennial medal. As a senator, Francis said he is eager to work on a process of reconciliation between Canada and its Indigenous people. He said he hopes his appointment serves as an inspiration to the Mi'kmaq community. "As they always say, you never forget where you came from, and the experience that I've gained, especially as a First Nation leader, will equip me to any of the tasks I'm asked to do as a Canadian senator. "The message I hope it sends to the people in the community is that we are moving forward, we are making great strides, and if I can be an example of that, then other people can do it as well."